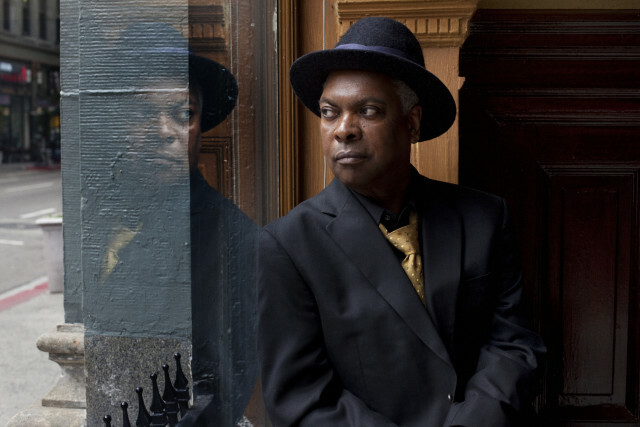 Booker T. Jones. Photo courtesy of Doug Deutsch PR. Green Onions is one of those songs that everyone knows. Some know it not by name but only by the distinctive beat that it carries, while many others know it as a classic R&B song from Booker T and the MG’s. 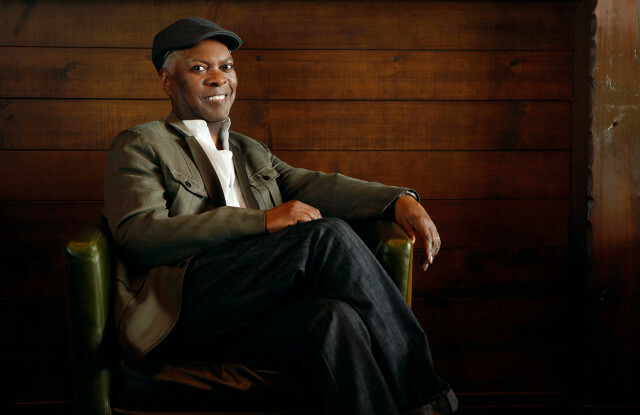 Written when Booker T. Jones was only 17, it remains a popular song today. And Booker T remains an influence in the music business today, with albums like his recent Sound the Alarm featuring some of the newest and hottest vocalists and writers in contemporary R&B music. He is a Rock and Roll Hall of Fame inductee, Musicians Hall of Fame inductee and GRAMMY Lifetime Achievement Award recipient. On Sunday, September 20, 2015, Booker T will perform with his band at the Blues and Brews Music Festival in Ventura. Recently, Booker talked to me about his music, some of his famous songs and much more. Q: How do you keep a song like ‘Green Onions’ fresh? BTJ: Every time I start to play it, it is that riff that got me going on the Hammond Organ. It still feels like when I first played it when I was a young man. Q: Most people know you for a few songs, but your list of people you’ve played with is like a Who’s Who of music. What’s it like to be in the background but know you’ve influenced so many famous musicians? BTJ: Well I trained myself as a composer and as an arranger and songwriter when I was young, not on purpose but that is kind of how it happened because of my curiosity. I learned arranging for the orchestra at Indiana University when I studied composition and orchestration and Stax Records was kind of a school for arranging. It was just a natural role for me and I think that’s why I got called for so many sessions and production jobs in L.A. after I left Memphis. I just got involved in so many different types, or genres of music. I loved jazz as we talked about and I loved rock and roll, R&B and blues and also country music, so I would get calls from a lot of different types of entertainers so it was just a natural role for me to help other people with their music. Q: How was it, still basically a kid and being signed to Stax Records? BTJ: There was a master plan that I was unaware of. To be honest with you, the first Stax Records job was a good substitute for my paper route. It was to get money for the piano lessons and so forth. They were paying from $5 to $15 a session, that was more than I could make in a week on a paper route! And that was per day at Stax! I told then that I could play piano but I really wanted to play guitar and Steve Cropper was there playing guitar. My first entrance there was on baritone saxophone and I played on a session. That’s when I realized there might be a job there, so it became an after-school job. Then, because we had the hit “Green Onions” in 1962, I still wanted to study so I went on to Indiana University as a freshman in 1962 and then financed my way through college. Q: The Hammond B3 is a versatile instrument, used in many types of music. Why is that? BTJ: This is something that started in the ’30s when Lawrence Hammond tried to imitate a pipe organ. He was an inventor—I think he made his living making clocks and parts for automobile wheels and that sort of thing. This was just sort of a lark for him, the Hammond thing, but it caught on for a lot of reasons. It caught on because it was actually the very first synthesizer that was everywhere. And then it caught on because people paired it up with this speaker that was being made in the ’40s by Don Leslie in L.A. The people liked the sound of these two together—a marriage made in heaven. So these guys both profited from it, but they didn’t get along. So the Hammond story is a story that had to happen in order for my story to happen. They wanted to make more money from this whole thing but it was too big, so they downsized it and built a model called the M-3, which is the spinet model, smaller and just had the one speaker in the middle. That’s the one that I ran into at Satellite Records when I started working with William Bell. That’s what they had and that’s what I played Green Onions on. The story’s not over though! I was taking piano lessons as a young kid and studying classical music with a woman named Mrs. Cole. After I’d been studying for a while, I noticed that in her dining room she had a cabinet—-I thought it was a cabinet, a china cabinet—–but students would sit in there and it turned out that was a Hammond B-3 organ. Of course, I asked her about it and she played a few notes on it. The lessons for that were expensive, but that’s how I got introduced to the actual instrument. Q: Did jazz great Jimmy Smith have an influence on you? BTJ: He had a huge influence on me! I would listen to jazz with my friends and I was the guy who gravitated towards the Hammond people like Jack McDuff and Bill Doggett. Jimmy was one of those people who spoke through the instrument, he had this amazing voice so I was a ‘Jimmy Smith imitator’! Maybe I still am! Q: What was the story behind ‘Born Under a Bad Sign’ that was a huge hit for both Albert King and the rock group Cream? BTJ: It was kind of haphazard at Stax and they assigned different people to different artists. By ’66 or ’67 they finally realized that they could be a record company so I was assigned to Albert King. We didn’t get a lot of notice as to when he was going to be in or not. We got a notice I think on a Thursday, late Thursday for a Saturday session, so we had one day to write a song for him, William Bell, my partner and I did. So we wrote that song the night before the session in my den on Edith Street, with my wife trying to sleep. (Laughs) The night before the session! Q: You’ve done a couple of new albums recently, Sound the Alarm and the Memphis album . You’re still going gangbusters here……..
BTJ: I am. I am so fortunate, my own goal was to just play music for my life and I’ve just turned 70 and I’ve been doing that all my life, except for a brief period when I had to sell real estate. You know, in the early ’80s. I’ve been able to do that, I’m fortunate and I’m very happy with it. Q: Do you have a favorite story from the road? Q: You’re still doing a lot of touring. You must like to be on the road? BTJ: We’re playing everywhere now. We play a lot in Europe, Australia, all around the states , Japan, Africa. Q: Besides your musicianship, you are extremely well known as a producer. How does that compare? BTJ: You can wear a lot of hats as a producer. I’ve met a lot of producers and I’m still learning about it. Some producers stand in the hallway and others are pretty much hands-on everything, so it kind of—I guess I’m kind of in the middle, I don’t want to get in an artist’s way, I don’t want to make them sound like Booker T, but I just want to help them sound like who they are. In some cases you can’t help but put yourself into the music like with Otis [Redding], a lot of that music has my lines and my musical colors in it. But sometimes, like with Bill Withers, I just helped him be himself. I don’t think Bill’s records sound at all like Booker T records, where I think that with some of the people I have produced you can hear—–well, it’s hard when you hear that Hammond organ sound that has become associated with me now. Like a lot of the Rita Coolidge stuff, some of the tracks sound like Booker T tracks. 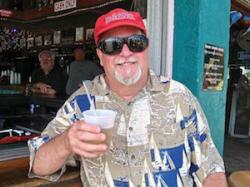 Q: You’re going to be playing at the Ventura Blues and Brews Festival. Have you been to Ventura? BTJ: Oh, many times! I used to go up to the beach there when I lived in Los Angeles, many times to Ventura. My bass player, Melvin Brannon is from there. That’s his home town. I’ll tell you a little bit about the show. I don’t when I’ve played a show that I haven’t wanted to play a few of the MG’s song; they’re still my favorites. Time is Tight, Green Onions like we were talking about and Hip Hugger, I usually play those, but the show includes a lot of music that I was involved in creating and a lot of the music that influenced me, so it’s a little bit of my history of my career. The California Beer Festival runs from September 18-20. Each day has a different theme, with a Food and Beer Pairing Competition Friday, a Craft Beer Tasting Heaven on Saturday with over 180 beers on tap and on Sunday, the Blues and Brews Music Festival. The Blues and Brews Music Festival features Booker T and blues guitar great Walter Trout. This entry was posted in Events, Food, Interviews, Miscellanious, Music, News & Sports, Upcoming Events and tagged Blues and Brews Music Festival, Booker T and the MG's, Booker T. Jones, Calironia Beer Festival, Ed Simon, Green Onions, Ventura, Walter Trout. Bookmark the permalink.